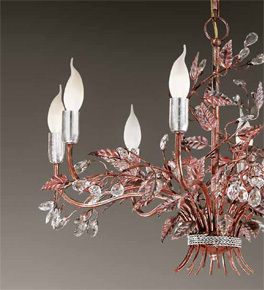 An explosion of hand worked leaves and crystal flowers give this collection the look of a real garden. The frames are hand decorated with silver leaf details. This collection includes chandeliers, flush fitting ceiling lights and wall lights.